Andrew grew up in South Charleston, West Virginia. He was educated from kindergarten through high school in Kanawha County's public school system. Following graduation from South Charleston High School, Andrew attended West Virginia University, earning a bachelor's degree in accounting. He went on to attend West Virginia University's College of Law, earning his doctorate of jurisprudence. During law school, he served as Vice President of his class and was the Director of the VITA program, an income tax return assistance program. After graduating law school, Andrew returned to South Charleston to begin practicing law and to start a family-owned business in South Charleston where he works to improve residential development across the Kanawha Valley. Andrew spent the first six (6) years of his legal career in the defense firms of Pullin, Fowler, Flanagan, Brown & Poe, PLLC and Mannion & Gray Co., L.P.A. During his tenure with these firms, Andrew gained significant civil litigation and courtroom experience in consumer law, employment law, governmental liability, personal injury, automobile collisions, workplace injuries, premises liability, medical malpractice, and product liability. 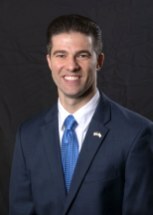 Andrew also has considerable experience practicing before the West Virginia Supreme Court of Appeals and the Fourth Circuit Court of Appeals. Some of Andrew's representative cases before the West Virginia Supreme Court are Landis v. Hearthmark, 750 S.E.2d 280 (W.Va. 2013) and Ohio Power Company v. Pullman Power, LLC, 741 S.E.2d 830 (W.Va. 2013); and McClure v. City of Hurricane, 711 S.E.2d 552 (W.Va. 2010). Andrew currently resides in South Charleston, West Virginia with his wife Christina and their English Bulldog, Gus. Andrew and Christina are members of First United Methodist Church in South Charleston where Andrew serves as the church's Financial Chair. Andrew and Christina dedicate a majority of their time supporting multiple charities and organizations throughout the Kanawha Valley and West Virginia, including Habitat for Humanity, Ronald McDonald House, March of Dimes, YWCA, Heart and Hand, the West Virginia Alzheimer's Association, and Beyond the Backyard (a Bobby Warner charitable organization). Mannion & Gray Co., L.P.A.